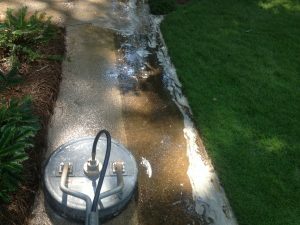 Mjr pressure washing concrete washing procedure.First a diluted chemical is added to your concrete. After that it is cleaned with a surface cleaner. The loosened dirt is rinsed. A chemical is added to remove any of the spots that are left.